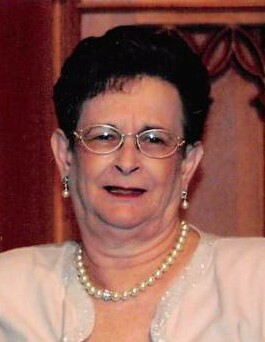 Mary Ellen Bryant, 82, a native of Huntington, Indiana and longtime resident of Citronelle, Alabama passed away Monday, November 19, 2018 at Crowne Healthcare of Citronelle. Mrs. Bryant worked for Greers, Beef-n-Chik and Family Dollar store for many years. She never met a stranger and would carry on a conversation with anyone. She was a loving mother and grandmother and will be dearly missed. Those left to cherish her memory are her daughters, Penny Turner (Mike), Gail Reed (Carl) and Barbara Evans (Larry); grandchildren, Shaun Turner, Candis Whiteley (Hank), Alicia Callahan (Stephen), Laura Cronin (Anthony), Lesley Huffmaster (Phillip), Elizabeth Foust (Mike), Geoff Evans (Roberta), and Randy Evans (Christa); twenty-two great grandchildren; one great-great grandchild; sister, Lurabelle Rowell; brothers, Ernie Passwater (Connie), Jim Passwater (Callie), and Don Passwater (Judy); other relatives and friends. The family will receive friends from 10am until 11am funeral service on Saturday, November 24, 2018 at Restoration Church with Rev. John Blackwell officiating. Burial will follow in Creola Cemetery. Online condolences may be given at www.freemancitronelle.com. Freeman Funeral Home – Citronelle, Alabama.